New Horizons Learning Group has been serving businesses and individuals in the Arizona, California, Nevada and Utah communities for over 35 years. With eleven convenient locations we offer a wide range of technical, application and business skills courses. As the world of computer technology continues to evolve at light speed, New Horizons helps the world’s workforce stay proficient with the latest technologies and achieve their career goals. It’s what we’ve been doing better than anyone else for years, and what we plan to do well into the future. As part of the largest independent IT Training Provider, New Horizons Learning Group delivers more courses than any other IT training company. Our various approaches empower students with unprecedented flexibility to tailor their learning schedules and locations by deciding when, where and how they want to learn. New Horizons has trained employees at all 100 companies listed in Fortune magazine’s ranking of America’s 100 largest corporations and over half of the Global 100. We are ranked in the top 5% of the industry for training quality and customer satisfaction as reported by an independent, third-party learning and quality assurance company, Knowledge Advisers. 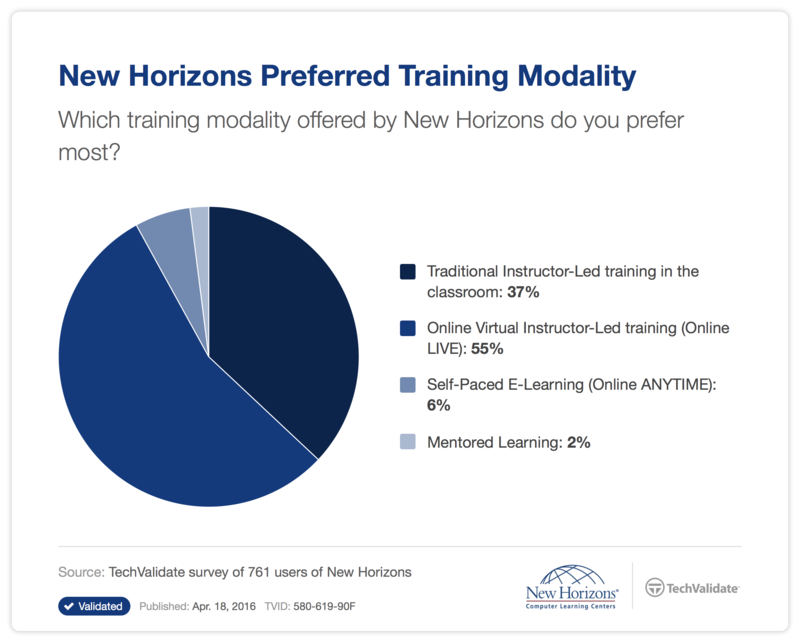 Training from New Horizons provides measurable results. Gratitude. Respect. Accountability. Simplicity. People first. Find out more about New Horizons Central's learning methods.